Stunning Calla Lily paperweight. Lapis blue backround, green leaves and 3 creamy white flowers with yellow centers. All cased in clear glass. 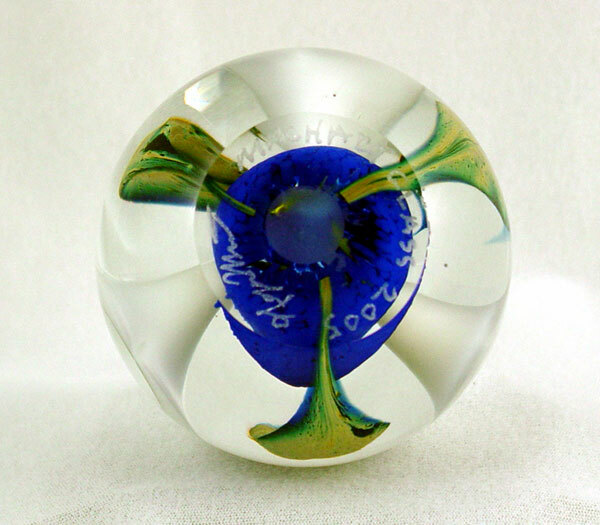 Machart, George His work has been chosen by the Bergstrom-Mahler Paperweight Museum to be exhibited in their contemporary collection.